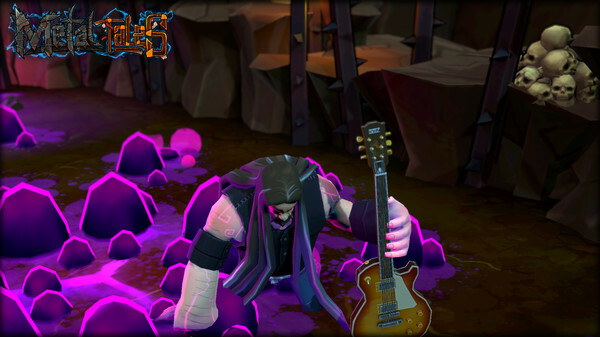 In Metal Tales: Fury of the Guitar Gods you literally go through Hell, shooting your way to defeat eight metal bosses and free your brothers and sisters from an ancient curse. Featuring an original soundtrack and procedurally generated levels, it’s up to you to decide how to play – whether you want to explore and collect all the items or head straight to the headline battles. We’ve got 100 copies of this 3D roguelike to giveaway, and all you need to do to be in with a chance is enter using the widget below. Each action is worth one entry, so the more you do, the higher chance you’ll have of winning. We’ll also need your email address so we can send you the code if you win, but we promise there’ll be no spam! If you’re keen, you can give the PCGamesN Facebook page a Like to be kept in the loop about all future giveaways.